We have a great team of staff; most having worked together for several years now. All staff hold a current Paediatric first aid certificate. All staff attend regular training courses to update their knowledge and skills and to keep abreast of current legislation. 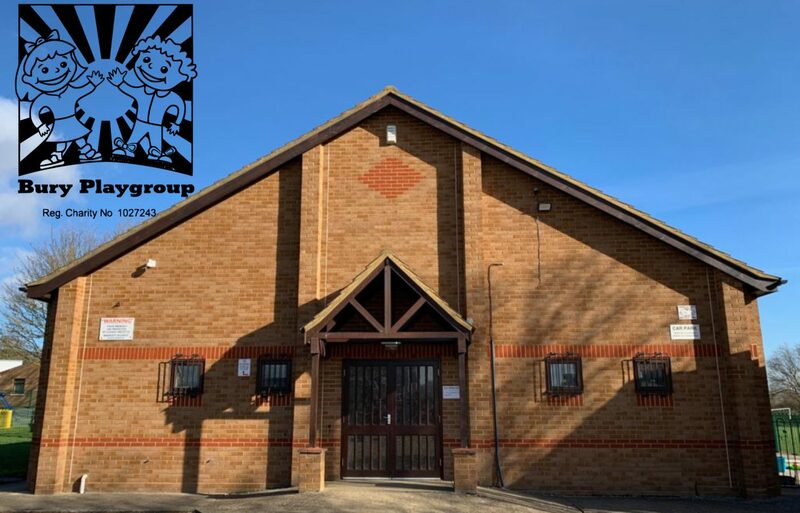 Adult to child ratios: Bury Playgroup always ensures that we have a minimum of one adult for every four children aged two and one adult for every eight children over three. We have a minimum of three staff/adults on duty at any one time, including at least one qualified first aider. Early Years Teacher, Child Protection Designated Personnel, Special Educational Needs Coordinator, Equal Opportunities Coordinator, First Aider. I have lived an Bury since 1994, I have two children Beth and Robbie who both attended Playgroup. I joined Bury Playgroup in May 2002 whilst working at Playgroup I have completed a NVQ level 3 in Early Years Care and Education, a Foundation Degree in Early Years Childcare and Education and a BA Hons. in Early Childhood Studies. I completed my Early Years Teacher Status in February 2014. I have loved my time at Playgroup and being part of the community. I have had the privilege to get to know so many children and their families. No two days are the same and there is nothing more rewarding than seeing the pride in children’s faces as they master a new skill or create a ‘master piece’. Saying goodbye is always difficult but also a proud time to know i’ve been part of helping the children to be prepared for their next steps. Hello. I’m Debbie Webb and am the Deputy Manager and Special Needs Coordinator at Bury Playgroup. I joined the team in September 2002. Both my children Henry, and Maggie, attended Playgroup which gave them a very good early years experience. During my time here I have gained a level 3 Diploma in Pre-school Practice, a Level 4 NVQ in Children’s Care, Learning and Development and a level 5 Diploma in Leadership for Children and Young Peoples’a Workforce- Early Years (Advanced Practice). I have completed many other courses, workshops and training sessions relevant to my Playgroup role. Through the confidence I have gained in my ability to care for, support and educate the children at Playgroup, I have also volunteered for many years to teach the children at my church. I really enjoy working at Playgroup and have the pleasure of meeting, working with and supporting many children and their parents/carers and families. In making a positive difference to the lives of the children, they have in turn, made a positive difference to mine. Hi, I’m Lisa Schiavo. I have enjoyed being a part of Bury Playgroup since 2009 and have relished the challenge becoming a full-time member of the team has given me. Qualified to level 3 in early years I constantly strive to further my knowledge in an ever-changing role. I look forward to completing a foundation degree in early years which will support me in understanding the theory and ethos which underpin everything we do. I am a familiar face in Bury having lived in the area since 1999 with my husband and two grown up children and I have also been an Ofsted Registered childminder since 2005 which encourages links, allowing me to build a strong relationship with Bury Primary school. When I am not caring for or teaching children I enjoy singing and am an active member of Ramsey Choral Society. I have always enjoyed music and am passionate about children learning through experiencing music in all forms, this is something we embrace daily within Playgroup. My name is Lisa Poynton, I started working at Bury Playgroup in 2017 as a member of bank staff. I felt very privileged that I was able to become a permanent member of the team in September 2018. I have two children, both of whom attended Bury Playgroup and then went on to Bury Primary School. Before my children arrived I worked as a Teaching Assistant in primary schools and because of this I am passionate about supporting children with Special Educational Needs. I believe that all children should have the opportunity to reach their potential and this is something that all of us at Bury Playgroup strive for. To support my work at Bury Playgroup, I will soon be working towards a level 3 qualification in Early Years Education.